Join us in Boulder for our 200-Hour Yoga Certification to start your career today! Is practicing yoga a central part of your life? Is it time to expand your knowledge? Are you excited by challenge and looking for a change? Are you ready to transform your life and become a yoga instructor? Based in Boulder, Colorado, our Yoga Alliance-Certified Vinyasa Yoga Teacher Training course will awaken your life and hone your purpose in 200 hours . At The Little Yoga Studio, we know that the most authentic teaching comes from deep personal experience. Your path to become a yoga instructor is guided by our expert faculty and special guest teachers in our central Boulder, CO yoga studio. Our yoga teacher training will enable you to empower your students and guide them toward personal growth. The yoga certification-training program follows the Yoga Alliance Standards and includes instruction on the technique of more than 50 foundational asanas where you will learn how to teach these postures in the vinyasa style. 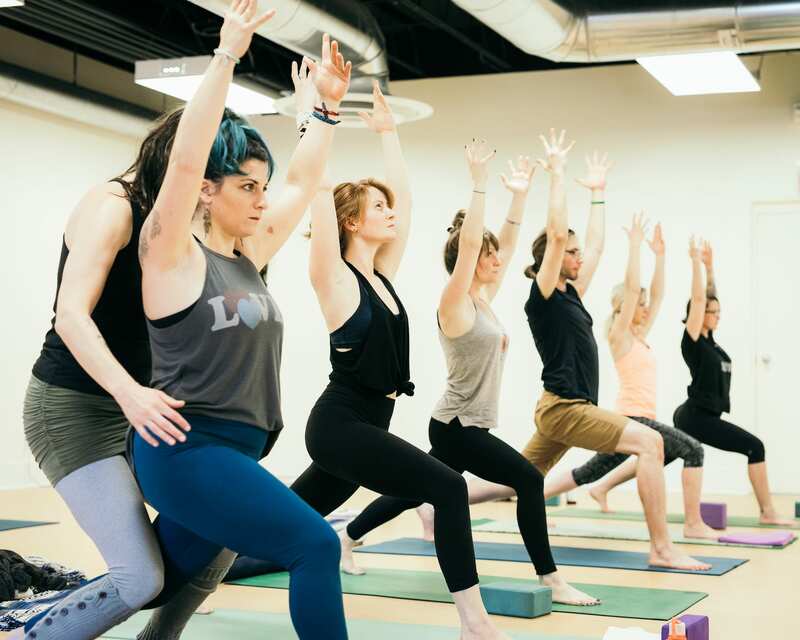 The 200-Hour Yoga Certification training will allow you to explore yoga philosophy, understand and apply anatomy and physiology principles to yoga, and delve into the practice of teaching, correcting, and guiding students. As a 200-Hour Yoga Certified Teacher, you will gain a deeper personal understanding and relationship to yoga philosophy. Along with other yogic studies you will choose to focus on, you will grow your studies through with understanding on integrating Patanjali’s Yoga Sutras and teachings into everyday life. Our yoga certification course focuses on safety from a thorough understanding of human physical anatomy and physiology. You will study joint movement, range of motion, and gain a functional understanding of skeletomuscular systems and structures. Your yoga teacher training will help you to enable students to experience body-mind integration and purification through yogic breathing and an understanding of energy anatomy. You will learn and practice creative ways of incorporating various perspectives on energy anatomy into your posture sequences. Your certified yoga-teaching course will provide opportunity to learn how to offer modifications, posture options, and clarification of contraindications for students. You will discover how to develop a complete series of classes with progressive levels of difficulty. Yoga certification provides the important skills for you to master centering yourself and your students. 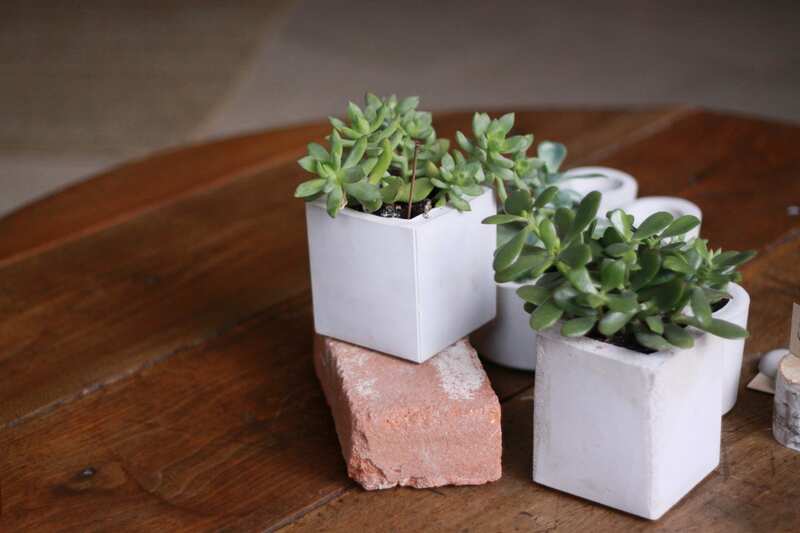 This critical ability creates a safe space for fostering inward focus, guiding meditation, and cultivating deep relaxation while removing tension patterns in the body and mind. The Little Yoga Studio Yoga Teacher Training is distinctly different from other trainings as we provide emphasis on applied anatomy. The Yoga Certification Training devotes more than the Yoga Alliance required hours to this subject as it is the most essential body of knowledge for any new yoga teacher to understand as they learn to guide safe, meaningful yoga classes. Our course has partnered with an expert on applied anatomy to offer lectures that are customized to our program based on over a decade of experience working with thousands of yoga teacher trainees. This unique aspect of the course will allow you to learn the basics of human physical anatomy and physiology as well as energy anatomy and physiology. You will also study how anatomy and physiology is applied to yoga practice. The majority of your training will be learning fundamental yoga techniques. Executing yoga postures correctly and how to guide students through the five primary “families” of asana, pranayamas, safe sequencing, chanting, mantra, meditation and other traditional yoga techniques are critical to the yoga teacher training certification. Our curriculum includes analytical training in how to teach and practice these techniques. Your yoga certification will prepare you to guide grounded, intelligent, and accessible classes that will benefit each of our students in all aspects of life. Grow and deepen your confidence through communication skills such as: group dynamics, time management, and the establishment of priorities and boundaries. You will become comfortable with how to address the specific needs of individuals and special populations, to the degree possible in a group setting, and you will learn the basic aspects of conducting private yoga sessions. You will cultivate your skills and principles of yoga posture demonstration, observation, assisting and correction. Your yoga certification will help you become clear about your unique, individual teaching style and the most important qualities of a yoga teacher. You will also better understand the student learning process and you will graduate with many of the business aspects of teaching yoga, including marketing and legal matters to consider. In this part of the yoga teacher training, you will observe classes and students as well as practice the techniques in private and public class settings. You will learn how to receive and give feedback and how to assist students in classes and other relevant practices. Because of the wide selection of yoga classes, The Little Yoga Studio has a variety of dynamic ways to help you prepare to teach your unique classes! You will learn the principal ethical guidelines for yoga teachers, such as those involving teacher – student relationships and community while understanding the value of teaching yoga as a service and being of service to others. Your study will include learning about yoga philosophies and traditional texts (such as the Yoga Sutras, Hatha Yoga Pradipika or Bhagavad Gita) and how to apply the principles of the Yamas and Niyamas to your teaching and your everyday life. We are now accepting applications for our Spring 2019 200-Hour Yoga Teacher Training. Our Spring Immersion will begin on Friday, May 10th, 2019 and will conclude on Thursday, May 23rd, 2019. Sessions include techniques for postures and pranayama; teaching methodology for leading a Vinyasa Yoga class and assisting students in postures; exposure to yogic philosophy; anatomy and physiology; and practice to support your emerging skills as a teacher. Afternoon yoga practice is designed to reinforce posture alignment details and teaching methodology while providing opportunities to assist yoga students and deepen your own practice. Homework and readings will be assigned each week and are to be completed between modules (expect 10+ hours of self study each week). You will be doing lots of yoga and will be taking classes that work conveniently into your schedule at our studio during the week that will support your study. All yoga classes at The Little Yoga Studio are included with your tuition. Additionally, our beloved studio will be made available to our yoga teacher trainees on off hours to practice with small groups and conduct study groups scheduled at times that work for you. As a graduate of The Little Yoga Studio yoga teacher training program, you become a confident and capable member of the yoga industry, fully prepared to lead grounded, safe, and inspired beginner to intermediate vinyasa yoga classes. The 200-Hour Yoga Teacher Certification Course at The Little Yoga Studio costs $2,800. You can secure your place in the yoga teacher-training course for a non-refundable deposit of $500. Payment plans are available. All yoga classes at The Little Yoga Studio are included with your tuition for the duration of the training. Once you have successfully completed the yoga teacher training program, have paid your tuition in full, and have been approved to pass the course by our faculty, you will receive your certificate of completion and will be able to register with Yoga Alliance as a Registered Yoga Teacher 200-Hour Certified Yoga Instructor. Yoga instructors are required to obtain insurance before they may begin to teach. No certification will be granted if tuition is not paid in full. If you fail to pay your tuition over a long period of time, your tuition and certification will be forfeited and no refund will be granted. We understand that, in rare cases, serious life emergencies arise. If you experience this during the course of the program, arrangements can be made to make up the work and complete your training either at an alternative time or during future yoga training sessions. These decisions are made independently for each student and must be approved in person with Kelly Elle Kenworthy at a meeting scheduled and approved by all involved parties. The 200-Hour Yoga Teacher Training Course is a comprehensive and intense yoga instruction program and the ideal way to become a yoga instructor. To ensure student success, Kelly Elle Kenworthy, Owner of the Little School of Yoga, will screen and vet all prospective applicants. Start by reviewing the program details and course curriculum. Contact Kelly Elle Kenworthy at (720) 206-6601 if you have any questions. Then, use the button below to apply. Once your application essay has been received, Kelly Elle will contact you to schedule a brief telephone interview. You will be notified of the admission decision via email within two to four days of receipt of your application. After being admitted to the teacher training program, a non-refundable deposit of $500 is to be paid, in person, to Kelly Elle Kenworthy at a time she schedules with you. Note that maximum capacity for each yoga teacher training program ranges from 15-20 students. If you are accepted into the program and the course you hope to join is full, you may register for the waitlist. The waitlist will remain open until the program begins or you may register for any training date within one year of your acceptance. "Kelly Elle is a gifted teacher who can magically balance giving and receiving. She provides masterful modeling and support for evolving yogis; she listens and creates warm space for strong community. Her students walk away with much more than well-developed yoga teaching sequences." "I cannot express my gratitude for Kelly Elle and The Little Yoga Studio Teacher Training. The program far surpassed my high expectations. Through their guidance, dedication, and knowledge, Kelly Elle has given me the confidence to teach a safe, nurturing and accurate class. And, the program has given me so much more. I now look at my practice on and off the mat at another level mentally, physically and spiritually. This experience and journey will always be close to my heart. The breadth of topics covered, including anatomy and physiology, energy anatomy, yoga instruction and practice, Sanskrit, business, hands-on assists, and much more, were thoroughly and thoughtfully planned and well organized. The wealth of experience, knowledge and patience Kelly Elle possesses shined brightly throughout the entire program. The program also includes the knowledge of highly experienced guest speakers. No matter your goal, I highly recommend this program to anyone who has a love for yoga. I feel truly proud and grateful to be a graduate of The Little Yoga Studio Teacher Training." 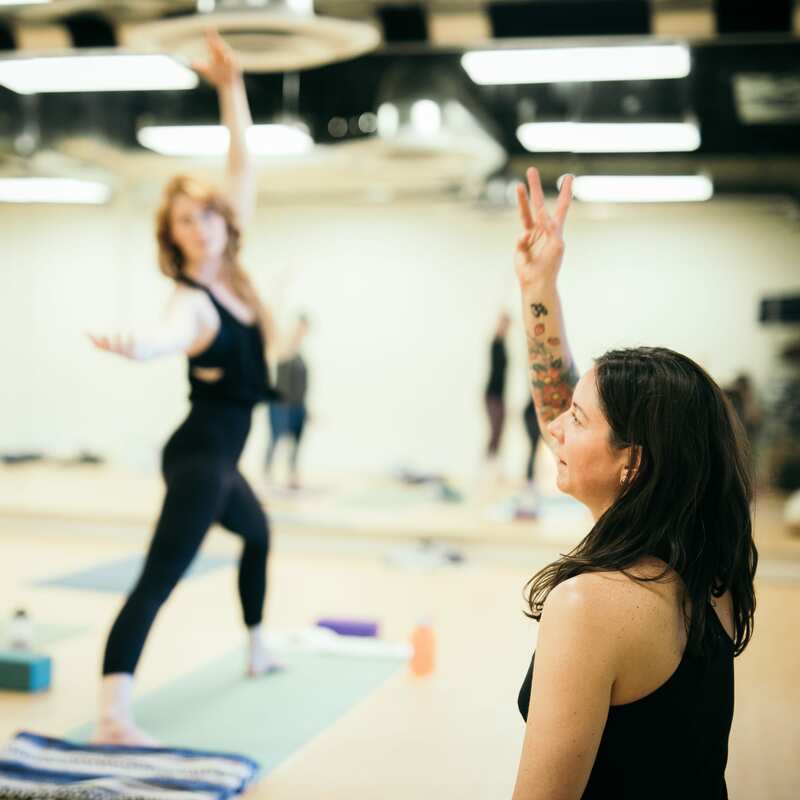 "Kelly Elle provides an accessible, unpretentious space for us to grow into our own practices and develop our voices as instructors. The modules were well designed, and I learned so much about anatomy, sequencing, philosophy and more. Prior to this training, I didn't have a lot of experience with yoga and wondered about my capability. After eight weeks, the feeling I had while teaching an hour-long hatha class erased any doubt about whether this had been the right choice. The Little Yoga Studio is a place where I can be myself- a community that welcomes everyone. I surpassed my own expectations through this challenging and empowering journey, and I'm grateful for all the support I received along the way!" Is there a written test that must be passed for certification? You will be evaluated, verbally and in writing, on the material presented throughout the training program. While these evaluations are designed to determine where you need additional study or support, your certification is not contingent upon these evaluations. The practice-teach sessions are the deciding factor whether or not a student will pass the course and graduate. Being able to successfully and safely deliver a complete Vinyasa Yoga class to a group of your fellow students is also a requirement for certification. How much time will I need to study outside of the program schedule? Each day there will be reading assignments to support your learning within the program. The amount of time this reading takes will depend upon the assignment and the individual. There may also be time needed outside of program time to prepare for your practice teach sessions. Is there credit for training completed outside of Yoga Teacher Training program? For the 200-Hour Yoga Teacher Training, our curriculum is predefined and comprehensive: it needs to be completed in its entirety at The Little Yoga Studio in order for you to become certified. The transfer of credit or hours from other programs towards this training is not allowed. Will I have an opportunity to participate in classes at The Little Yoga Studio during the training? Yes! All classes and selected events at The Little Yoga Studio are included in your tuition. Can I invite friends and family to graduation? Graduation is open only to program participants and attendance is mandatory. We do have an informal celebration held toward the end of the program that family and friends are invited to attend, however, and you will receive more information about this during the program. For more information about The Little Yoga Studio or the 200-Hour Yoga Teacher Training in Boulder, Colorado, please contact Kelly Elle Kenworthy at 720.206.6601 or e-mail: kelly@littleyogastudio.com.